We are committed to helping our students spirtually, academically, and financially as they attend Texas State University. We offer a number of scholarship directly through the United Campus Ministry as well as through partner churches and denominations. The UCM currently offers four $100 scholarships for the 2017-2018 year. Priority is given to student members of the UCM. Applications are due Janurary 25, 2018 and should be sent via email to UCMtxstate@UCMtxstate.org. Students need only to submit one application per year and will be considered for all eligible scholarships. You may indicate in your scholarship application if there is a specific scholarship you would most like to be considered. 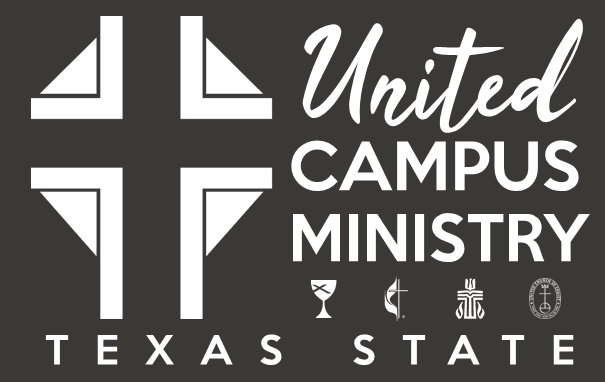 How participation in the UCM ministry has contributed to success as Texas State student. John Wesley Powell was born in 1834 the son of a Methodist minister in New York. After studying at Illinois College he became a natural science teacher. In 1861 he joined the U.S. Army and while commanding an artillery battery in the Battle of Shiloh in Tennessee lost his right arm on April 6, 1862. In spite of the injury, he continued his military service until the end of the Civil War, achieving a permanent rank of Major. After the war he returned to civilian life as a science professor at Illinois Wesleyan College. During summers he led student groups on exploring expeditions to the American West. He obtained funding from the Smithsonian Institution and led an expedition down the Colorado River through the Grand Canyon in 1869. Based upon the success of that assignment he was appointed by the U.S. Congress to be Director of the U.S. Geographical and Geological Survey of the Rocky Mountain Region. The success of that organization led to the permanent creation of the U.S. Geological Survey (USGS), for which he was selected as its second director after the politically appointed first director was forced to resign. As its director from 1881 to 1894 he directed that agency to becoming a premier Earth science agency. Besides his work with the USGS he played a leading role in the founding of the U.S. Bureau of Reclamation and the Smithsonian Institute’s Bureau of Ethnology. Declared major or minor in the Dept. of Geography, having completed at least 8 cr. hr./per academic year toward a Geography major or minor with a major/minor GPA of at least 3.0/4.0 and an overall GPA of at least 2.80/4.0. Student must submit a copy of his/her “Degree Outline” form of university transcripts with application. Frank Flauto was a native of Cleveland, Ohio. After graduating from Ohio University university he received a commission in the U.S. Army. After 20 years of service, including a tour in Vietnam he retired from the U.S. Army and completed a Ph.D. from Ohio University. Upon accepting a teaching position at Texas State he moved to San Marcos, TX in 1995. He served on the UCM Board of Delegates as President of the Board until his death in 2015. He distinguished himself by his leadership and tireless service to the ministry of the UCM. Must have completed at least 12 cr. hr. per semester with a major GPA of at least 2.75/4.0 and an overall GPA of at least 2.50/4.0. Student must submit a copy of his/her “Degree Outline” form of university transcripts with application. Texas State students who are members of The United Methodist Church (either via home church or membership at the United Campus Ministry) are invited to apply for church-wide scholartships at www.gbhem.org/scholarshipapplication. The Global Board of Higher Education and Ministry (GBHEM) scholarship application opens in January of each year. You need only to submit one application per year where it will be screened for all possible eligible programs. You may indicate on the scholarship application first page which of these programs you would most like to be considered.